This entry was posted in News on 26/04/2019 by admin. This summer we will be using a new, non-invasive technique – footprint tunnels – to look for dormice in a Northamptonshire woodland. Local volunteers will be needed on the ground but volunteers from anywhere can help identify the footprints. Bee-fly Watch is now into its fourth year, and the bee-flies celebrated by appearing earlier than ever before – the first one was seen on 17 February, about two weeks before their normal emergence date! These distinctive furry flies will be on the wing through to June, often hovering over flowers and using their long ‘nose’ (proboscis) to feed on nectar. This entry was posted in News on 25/04/2019 by admin. As RSPB’s Conservation Director, Martin is perfectly placed to update us on key conservation issues – he and his team are often at the very heart of some of the key issues for the RSPB. Martin will talk about the species, locations and habitats that are RSPB’s current priorities and what the Conservation team at RSPB are hoping to achieve over the coming years. Sure to be a topical, informative and entertaining evening. 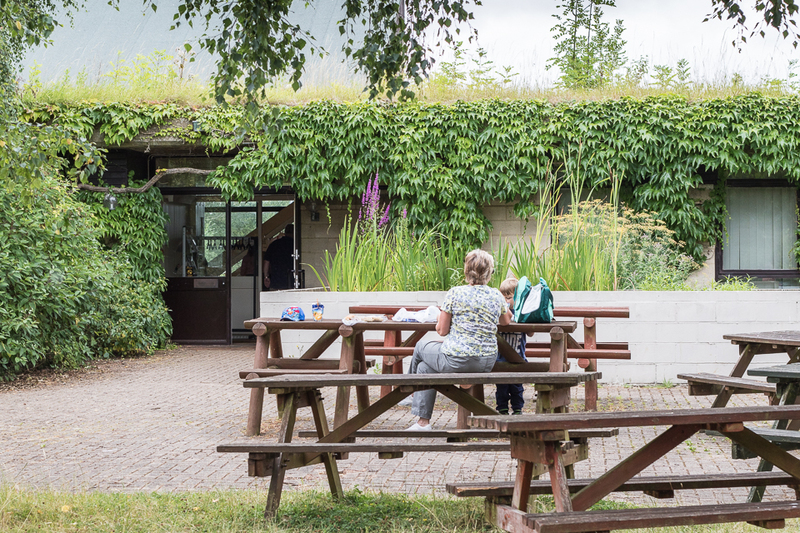 An innovative project that will see researchers collaborate with diverse communities on issues in environmental science has been awarded £1·3 million through NERC’s Engaging Environments programme. The award is NERC’s largest single investment in public engagement, with project partners pledging a further £235,000 of in-kind contributions. Jobs for all levels of fitness and all abilities. This entry was posted in News on 24/04/2019 by admin. Yesterday afternoon (23 April), nearly 10 weeks after Wild Justice launched a challenge to the legality of the 2019 General Licences (on 13 February), Natural England announced that it was revoking 2019 General Licences 04/05/06 on Thursday (25 April) after deciding to do so at its Board meeting of 15 April. After nearly four decades of unlawful casual killing of millions, tens of millions, of birds, sanctioned by a succession of government statutory conservation agencies over the years, the current system has been shown to be unlawful by the tiny and fledgling wildlife organisation, Wild Justice. Independent bird experts have concluded that the mass culling of geese that fly in every October from Greenland is unnecessary, unsustainable and does not deliver value for money. They have called for the killing to end. Cost: £2 per adult, £1 for children – payable on the night. The relationship between bees and flowering plants goes back to the early Cetaceous period, and different species of bee have, over 100 million years or so, developed a number of different physiological adaptations and behavioural traits to enable them to collect pollen. This entry was posted in News on 23/04/2019 by admin. The silphid beetles are a very interesting group of insects, many of them associated with carrion. Species in genus Nicrophorus, commonly referred to as Sexton beetles, are well known for their habits of burying small vertebrate carcasses. This group also display bi-parental care, a rare trait among beetles and for this reason are increasingly being used in behavioral research. Other carrion dwellers include Necrodes littoralis and the Thanatophilus species. The very distinctive species Oiceoptoma thoracicum is less specific, and can be found on carrion, dung and fungi. The group also contains some predatory species; Phosphuga atrata (hunts snails) and Dendroxena quadrimaculata(hunts caterpillars). Every one of the beautiful butterflies that grace our gardens and countryside during the year began life as an egg. So while butterfly eggs may lack the glamour of adult butterflies, they are an essential part of the life cycle; no eggs, no butterflies. This entry was posted in News on 22/04/2019 by admin. ATM has been painting on the streets since 2014. Known for his giant murals of birds and animals, his work draws attention to them. Often linking the paintings to the nature of the local area itself. This is about raising awareness of the natural world but in a local, community setting. The RSPB and dozens of environmental groups have resigned from the government’s pesticides forum after two decades claiming the use of dangerous chemicals is now far worse than when they joined. This entry was posted in News on 21/04/2019 by admin. This entry was posted in News on 20/04/2019 by admin. The English and scientific names of this moth are derived from the distinctive yellowish colour of the antennae. The forewings of the English subspecies are grey or greenish-white with a large pale spot near the centre of the leading edge. The Scottish subspecies is a darker grey. The caterpillars can be found from mid-May to mid-July feeding at night and resting between two leaves spun flat together during the day. They overwinter as pupae on the ground amongst leaf litter. It’s no longer enough just to reduce carbon emissions. We also need to remove carbon from the atmosphere. This entry was posted in News on 19/04/2019 by admin. On a sunny summer’s day you might have noticed day-flying moths in your garden, such as the Humming-bird Hawk-moth buzzing around the Buddleia, but have you been out after dark with a torch to see which flowers the night-flyers are favouring? Some adult moths don’t feed at all, such as the Eyed, Lime and Poplar Hawk-moths, but most moths do have to consume nectar to give them the energy needed for flying. While visiting plants they accidentally carry pollen between flowers, so playing an important role in pollination. Flowers that have evolved to attract moths as pollinators are often shades of white, lilac or pale pink so they can be seen at night and they emit their scent more strongly after dark. I have a large and well known soft-spot for the bee-flies in family Bombyliidae; it’s not just their adorable looks that have caused my heart to become theirs, but also, they have the most fascinating of life cycles. The Morrison government has formally recognised the extinction of a tiny island rodent, the Bramble Cay melomys – the first known demise of a mammal because of human-induced climate change. When at rest the Red Sword-grass is brilliantly camouflaged as a bit of wood. Indeed its scientific name Xylena vetusta means ‘old wood’. It is a widespread species in northern and western parts of the UK, but is capable of long-distance flights so can turn up anywhere. Red Sword-grass moths hibernate through the winter, starting to emerge in March. The moths visit early blossom such as sallow to drink nectar as well as feeding on the sap of birches. The Wildlife Trust for Bedfordshire, Cambridgeshire and Northamptonshire working with partners Cambridgeshire ACRE, the University of East London and the Centre for Ecology & Hydrology has been awarded £1 million by the People’s Postcode Lottery Dream Fund to pioneer sustainable wet farming in the Cambridgeshire Fens and create a Fen Biosphere. A grassroots uprising is forcing builders and councils to remove netting over trees and hedgerows installed to prevent birds nesting and hindering their developments. Vintage waterway videos, with David Tucker. Steve will tell us about the Caldon Canal and the plans that are afoot to re-open part of the Uttoxeter Canal near the head of navigation. The Chesterfield Canal, talk by John Lower. John will tell us about the history of the canal and the ongoing plans for full restoration. The Shrewsbury & Newport Canals, with Brian Nelson. Brian will tell us about the history of these canals and the features on them. He will outline the progress being made towards their restoration. Canal Boatmen, their origins & development, talk by Roger Squires. The Bedford & Milton Keynes Waterway Trust, with Jane Hamilton (Trust Chairman). Jane will update us the progress made so far and the plans for the near future. This project is very much in the news, over the refusal of the Local Authorities to incorporate a culvert for the waterway under the about-to-be-dualled A421. Richard will examine the history, building, development and rise and fall of the largest man-made waterway in England. When studying dominance between different species at bird feeders, House Sparrows were found to be the most dominant species among the smaller birds. Click here to download the BTO Bird Table article on this research.